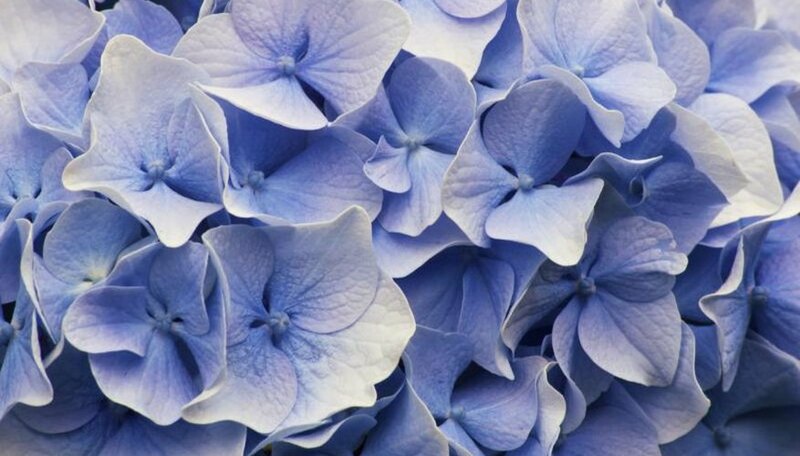 Proper timing and techniques are critical when pruning "Nikko Blue" hydrangea (Hydrangea macrophylla "Nikko Blue"), if you plan to enjoy its renowned blue blossoms. Hardy in U.S. Department of Agriculture plant hardiness zones 6 through 9, "Nikko Blue" blooms primarily on stems from the previous year. Understanding what that means for pruning and using the trait to your advantage helps ensure prolific blue blossoms on schedule. Flowering shrubs vary in where and when they develop buds that eventually become flowers. Some bloom in late summer or fall on new stems grown during the current year, but others bloom earlier from buds that developed late in the previous growing season. "Nikko Blue" hydrangea blooms lightly on new stems, but the bulk of this classic hydrangea's flowers come from buds set during the previous year. Unless those buds -- and the old stems that hold them -- survive winter and your pruning efforts, the plant loses its heaviest flush of flowers. Set a specific goal before you prune. Your purpose determines when, what and how you proceed. "Nikko Blue" flourishes with minimal intervention; overzealous pruning reduces flowering and growth. If enhanced flowering is your primary objective with an otherwise healthy "Nikko Blue," keep pruners in their holster; less is better. Limiting shrub size, shaping and thinning the plant or rejuvenating a neglected "Nikko Blue" warrant more rigorous approaches. Whatever your goal, remember that flowers hang in the balance. Each stem you remove potentially removes the year's flowers too. When to Prune Your "Nikko Blue"
Because "Nikko Blue" blooms heaviest on old wood, prune immediately after its early-summer flowering ends. This removes stems before next year's flower buds form. Wait too late, and you remove new buds; they're present long before you see them. In addition, late pruning stimulates growth, which delays dormancy and reduces cold hardiness. Remove dead or damaged wood, especially stem tips killed over winter, in early spring. This redirects energy to surviving buds. Rejuvenate "Nikko Blue" by cutting one-third of the branches back to the ground during late-winter dormancy; repeat the process the next two years. Dormant pruning sacrifices the year's flowers, except for light flushes on new wood, but flowers return the following season. Successful pruning depends on the right tools and technique. Sharp bypass pruners deliver clean, crisp cuts on "Nikko Blue" branches 1/2 inch in diameter or smaller. Angle your cut approximately 1/4 inch above a healthy set of leaves or buds. For larger stems, long-handled bypass loppers provide extra leverage. Use a sharp pruning saw for anything over 1 inch in diameter. Disinfect your pruning implements with household disinfectant before and after you prune your hydrangea. If you suspect disease or insect pests, disinfect the blades after each pruning cut. This inhibits the spread to other parts of your "Nikko Blue" and to other garden plants. Missouri Botanical Garden: Hydrangea Macrophylla "Nikko Blue"